General Description: In order to prevent galvanic corrosion due to OPGW and different metal wires are in contact with each other to form galvanic effect,we designed and developed a OPGW cable model aluminium wrapping stainless steel pipe light unit,the cable without filling antiseptic ointment to fight the electric corrosion. Aluminium wrapping stainless steel pipe light unit: this new type of stainless steel tube is made f coated aluminum layer in the conventional stainless steel tube,the total diameter it according to different specifications in 5.0-7.2mm,it is the largest can accommodate 48 core fiber. In order to avoid the stress of casing of fiber,fiber excess length must be greater than 0.4%,according to thetheoretical calculation and practical circuit operation general design in 0.40-0.70%. 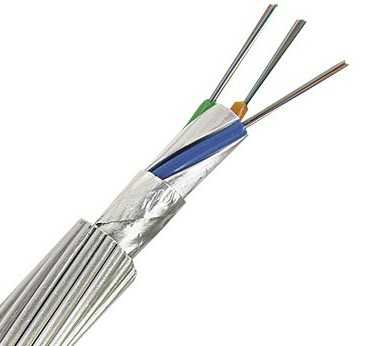 Because of containing aluminum layer optical unit casing,thus in the light unit casing allows a part of the current through the cable,which makes the total short-circuit current capacity increased.